Simply put, a pescetarian, or pescovegetarian, is a person who does not eat mammals or birds but will eat fish, mollusks, and crustaceans. While some purists maintain one cannot accurately be called a vegetarian while eating any sort of flesh, there are several advantages to limiting animal consumption to fish. Environmental Impact: Fish is generally considered to have a lighter environmental impact than beef, poultry, or pork. The website Pescetarian Life cites research that indicates fish may be up to six times more efficient at converting feed to meat than beef. While a vegan or vegetarian diet is more efficient still, a pescetarian diet represents a more environmentally sustainable choice than an omnivorous diet. 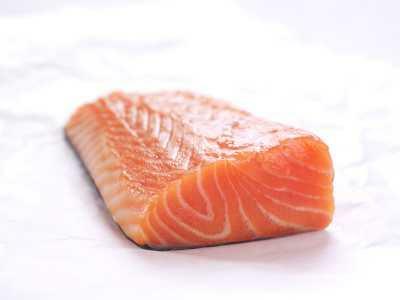 Health Effects: Lower in saturated fat and higher in protein and omega-3 fatty acids than other meat products, fish is a better health choice than beef, chicken, or pork. Ethics: Some choose to eat only fish because they feel it is a more ethical choice than eating all meat products. Aquaculture has its own set of ethical and environmental concerns, but it is not often associated with the horrors of factory farming. In general, pescetarianism is a choice for those who are uncomfortable with the environmental, medical, and health implications of supporting the meat industry but do not feel ready to adopt a fully vegetarian or vegan diet. Some pescetarians avoid eggs and dairy products, choosing fish as a sole source of animal protein. Such a decision furthers the goal of advancing animal welfare and environmental concerns. There are a number of reasons you might choose to consume fish while avoiding other animal products. For many, the diet is an intermediate point on the path to becoming vegetarian or vegan. For others, it represents a compromise between choosing what they feel is ethically right and their life circumstances. In some cultures, particularly those in the far north, fish is readily available, affordable, and intertwined with the culture. In contrast, meat alternatives may need to be shipped long distances and may even be unavailable or prohibitively costly. For such people, fishing is a natural and ecologically sensible option that avoids the health and environmental drawbacks of eating beef, pork, or poultry. A pescovegetarian diet may also be a good compromise for households in which family members have conflicting values. When one partner chooses to adopt a vegetarian diet and another cannot imagine life without meat, fish-only meals that can be easily adapted may provide a more tolerable choice for both parties. Pescetarian Life: Devoted to all things pescetarian, this site has lots of good information of interest to vegetarians and vegans as well. The Picky Pescetarian: This site is a collection of tips, recipes, and anecdotes on living as a pescovegetarian in the Philippines. Pescetarians Forum: Exactly what is sounds like, this is a forum for fish-eaters to discuss the finer points of their dietary choice. While not true vegetarianism in the strictest sense of the word, pescovegetarianism has definite health and lifestyle benefits. Whether you are choosing pescovegetarianism as a lifelong option or as a stopping point on the path to veganism, the diet plan can be a superior choice for your own health as well as the health of the planet.